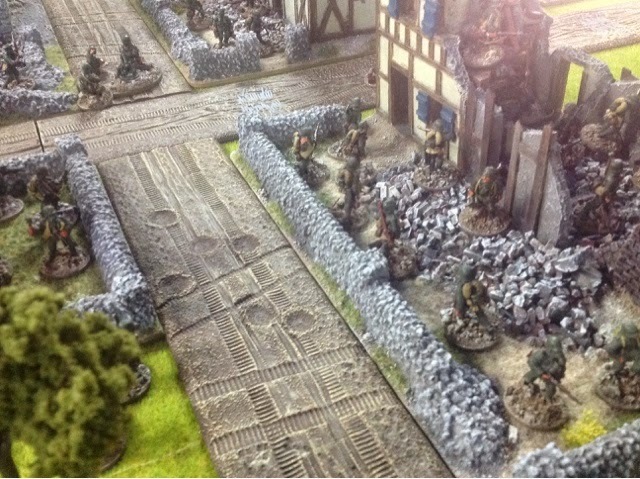 Mark and I had a great little game of WWI last weekend at the club. 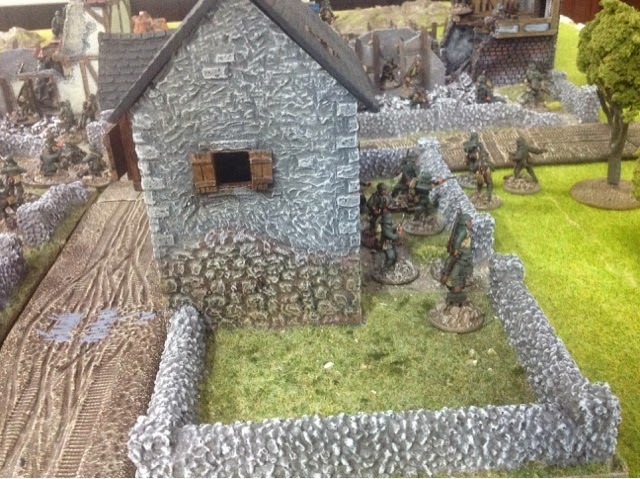 Mark has a fantastic collection of Great War German and British miniatures and we got to use them again for the first time in at least 18 months. 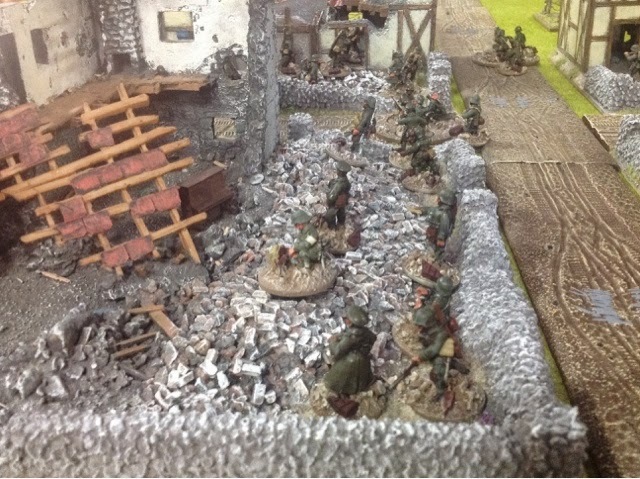 The British had to capture the town from the German forces by at least turn 7. 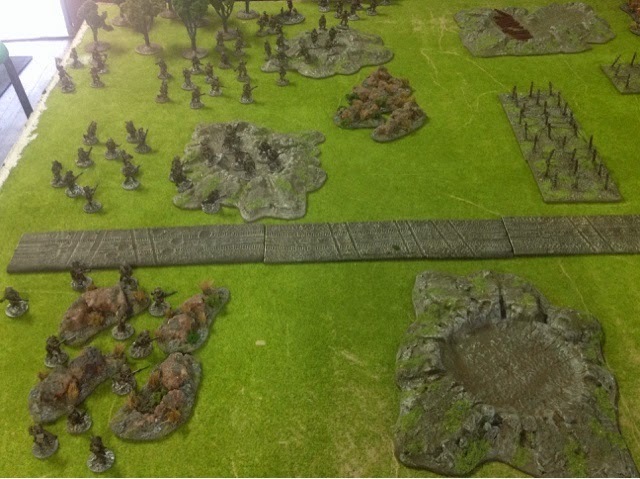 Table set up prior to forces being deployed. 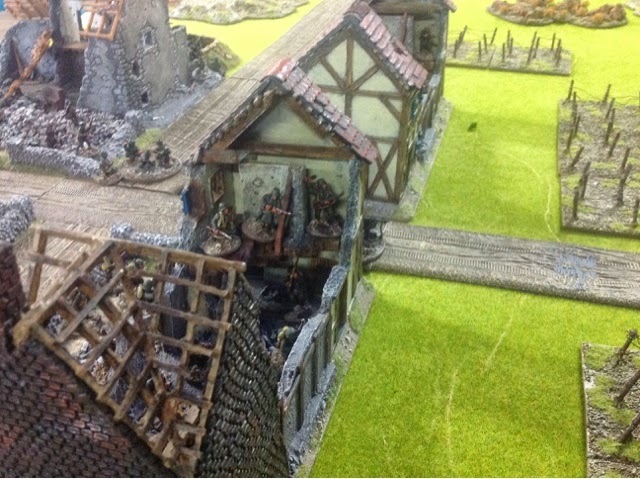 The buildings are mine but the rest of the terrain is all owned by Mark. 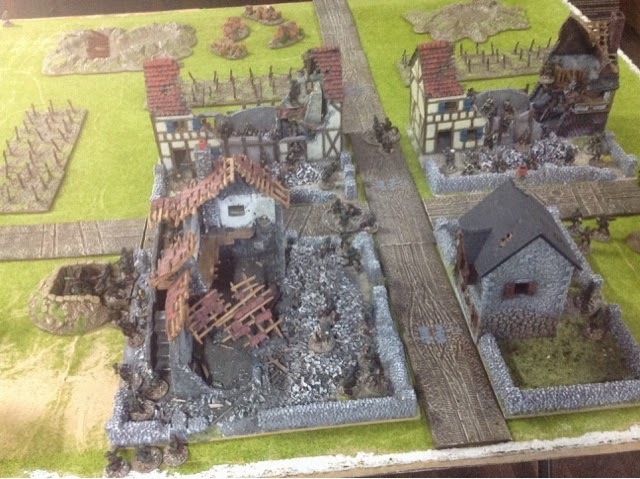 I have 5 of the building bases and did 3 up for Mark so we can do a decent sized village battle. 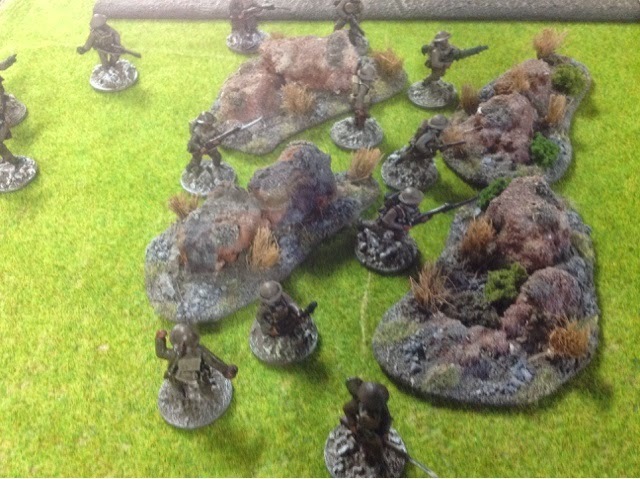 British platoon use the limited cover to advance towards the village. 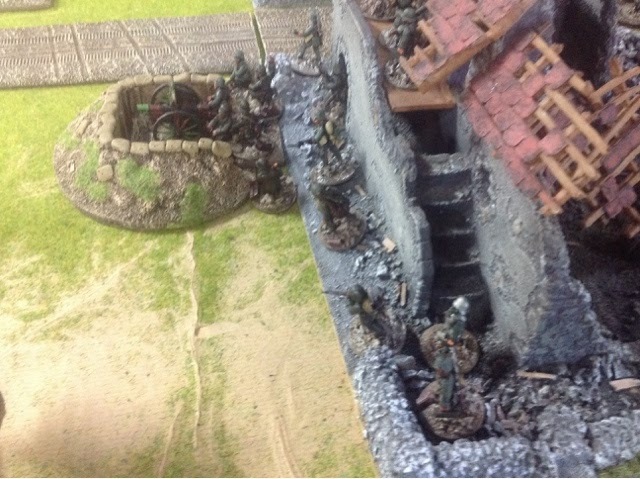 Germans use the cover of the buildings and await the Pommie advance. 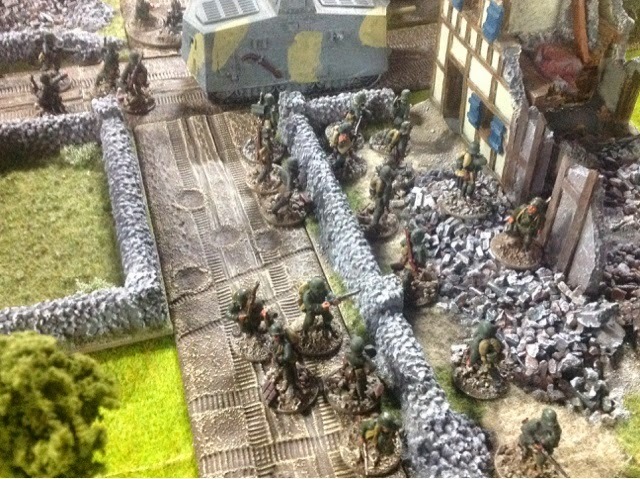 German and British tank slug it out and do hardly any damage to anyone. 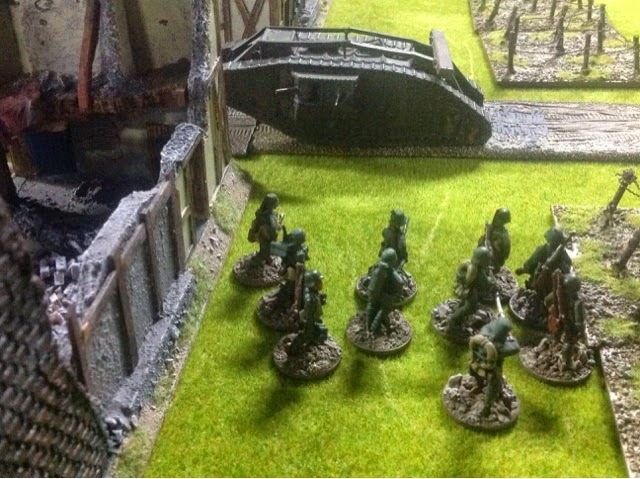 German flamethrower does nothing despite several turns attempting to set the British tank alight. 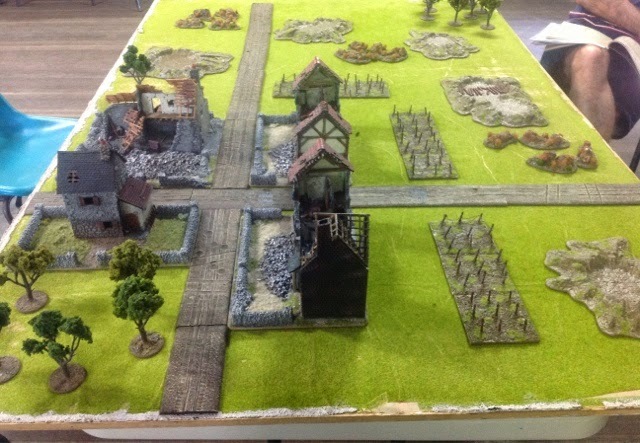 German victory due to holding the town but casualties were high. 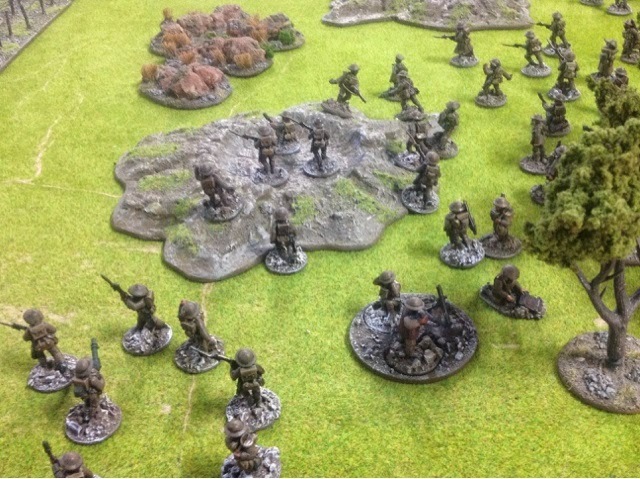 Cracking game which we need to play more of, I might have to finish my WWI Russians. 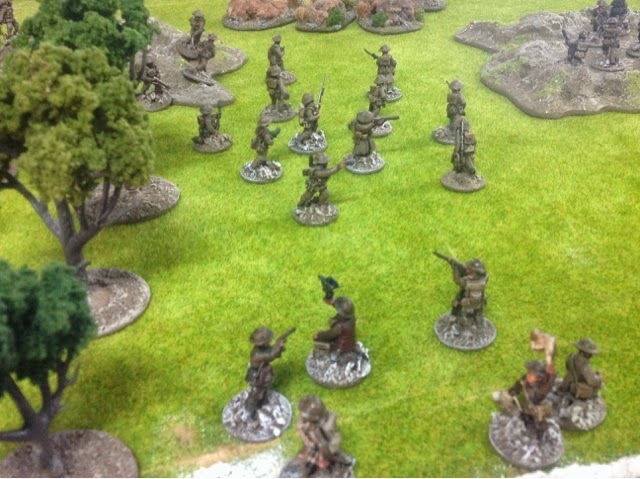 Great looking game and excellent report Scotty. 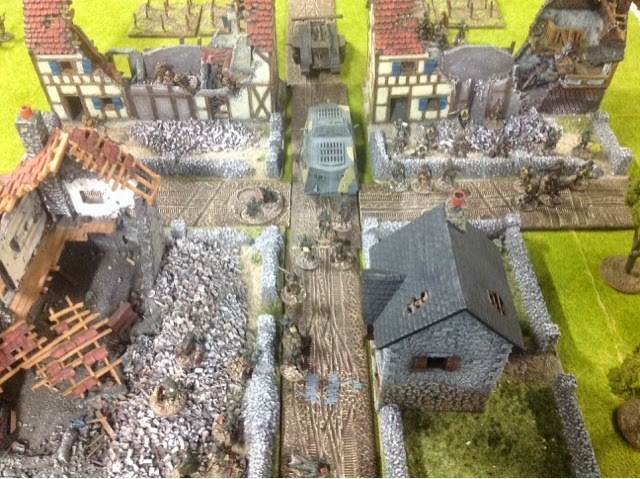 Thanks guys it was a fun game and I look forward to using more of Mark's very large collection.